TV with Thinus: Judge for Yourself with judge Dennis Davis returns to eNCA for a new 13 episode season on Sunday 30 March at 18:30. Judge for Yourself with judge Dennis Davis returns to eNCA for a new 13 episode season on Sunday 30 March at 18:30. Judge for Yourself with judge Dennis Davis is returning to eNCA (DStv 403) for a new season of 13 episodes on Sunday, 30 March at 18:30. 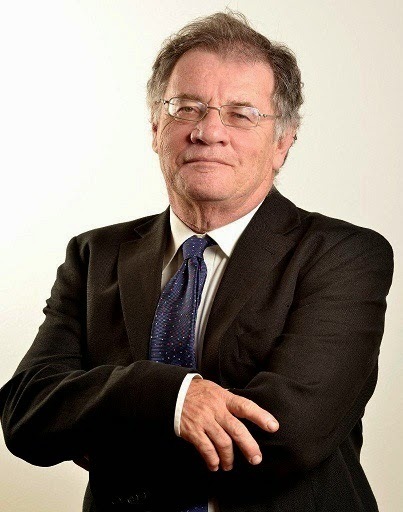 Judge Dennis Davis is a high court judge and remains the presenter for the 12th season of the current affairs show which discuss and critically analyses political and socio-economic issues in South Africa. The first half of the new season of Judge for Yourself will see various political parties in South Africa defend their election manifestos and ask them how they plan to realise the constitutional rights of South Africans. The constitutional right to decent education is paramount to transforming our country. The ANC, COPE and the DA talk up their plans for fixing our education system. Government is constitutionally bound to function in a clean and accountable manner. The ANC, DA and UDM lock horns over how corruption is best tackled in their election manifestos. Land restitution and redistribution is an emotional issue in South Africa. The ANC, DA, EFF and FF+ assert their plans for land reform in their election manifestos. How will political parties tackle issues of safety and security? It’s said to be the big issue of these elections, but how does each party plan to create sustainable jobs? The ANC, DA and EFF go head to head on their proposed policies to spur on economic growth. The Constitution of South Africa is founded on the values of non-racialism and non-sexism. The ANC, DA and IFP talk about how they plan to achieve a non-racial, united South Africa.